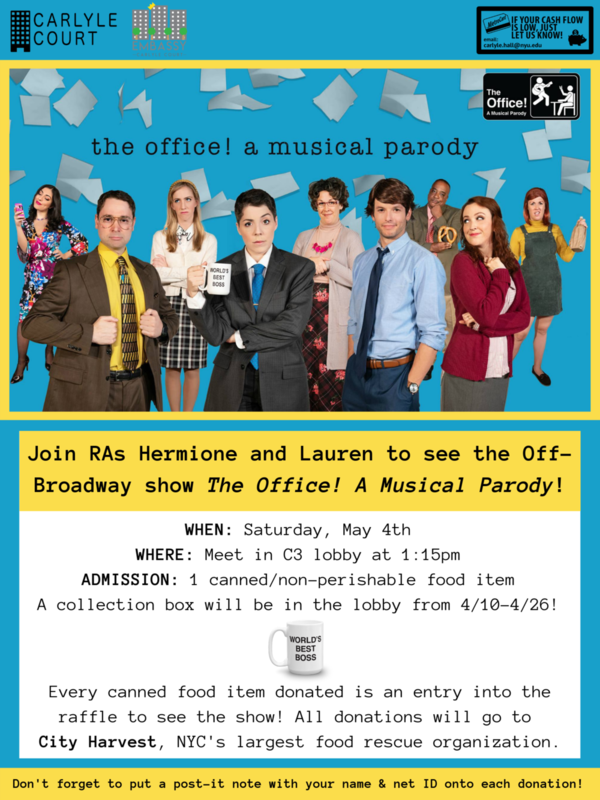 Join RAs Hermione and Lauren to see the Off-Broadway show "The Office! A Musical Parody" on Saturday, May 4th at 1:15pm! To enter for a spot to see the show, you can donate 1 canned/non-perishable food item to the collection box in the C3 lobby between 4/10 and 4/26. All items will go to City Harvest, NYC's largest food rescue organization. Don't forget to put a post-it with your name and net ID onto each donation!